Ultraframe is trying to provide retailers with stimulating and thought provoking products. The company wants to inspire retailers, to help them invigorate the conservatory market. 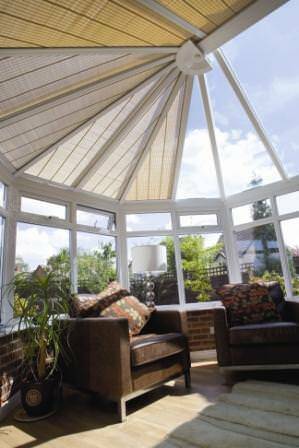 By conservatory market, we don’t just mean those who are installing one onto a ‘virgin’ site – we mean those consumers who have inherited a conservatory through a house move ( and so played no part in it’s specification or orientation) and those who installed one a good many years ago and it now needs upgrading. 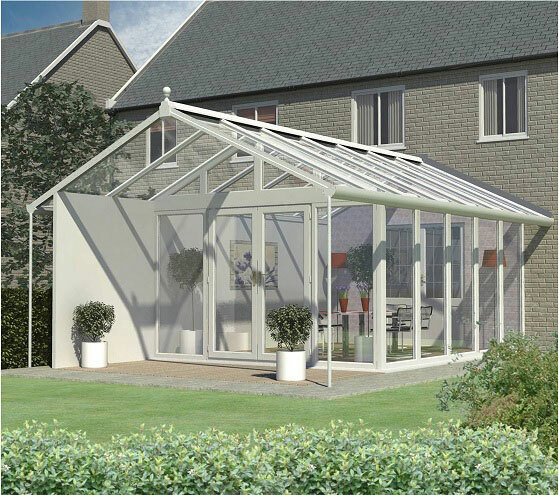 Whilst a proportion of home owners still demand a bread and butter white conservatory, additional sales in the future are going to come from a more niche orientated approach. Most retailers have seen the trend to colour – subtle shades are now being selected and they are beginning to push the boundaries. The percentage of the market that choose these products may be small so far, but it is an accelerating trend. Through its steady stream of product development, Ultraframe has continued to offer retailers ( and thereby consumers) a number of options to allow differing price points to be facilitated and differing lifestyles to be accommodated too. From its basic Classic chassis, Ultraframe now makes available it’s Classic Plus roof which features integrated tracks. These tracks allow the fitment of two of the company’s latest products, both of which offer retailers unique positioning. Retailers can offer Shades, fabric covered ‘blinds’ that Ultraframe now manufactures, and can offer them at the point of sale or later, years later if necessary. The other option – which needs to have been specified when the roof is ordered – is Utopia. This double layer of poly comprising 35mm Heatguard outside and 32mm opal inside, offers a class leading and amazing U value of only 0.53 – for young families wanting to use a conservatory all year round, Utopia offers lower energy bills (around 50% lower) and enhanced comfort levels. The latest veranda beam technology allows a myriad of new designs to be created by Ultraframe with its Classic roof – large door openings work beautifully to create stunning new aspirational spaces. This system can feature PVC foiled and coloured top caps or the new range of external aluminium – perfect when complying with planning restrictions or conservation areas. include a cassette deck, slab insulation and GRP flat roofing sheets. The resulting finished appearance looks stunning, is hassle free (comes with the most comprehensive installation guide in the industry) and the completion of one of these will enhance any retailer’s reputation. Through the provision of aspirational products and technologies, Ultraframe is helping retailers re-position themselves, challenging for more sales against other home improvement activity and traditional extensions. The company is further committed to working with motivated and forward thinking retailers and has some exciting ideas about how to recognise and reward this type of business.